On May 29, Izvestia, a Russian daily newspaper, reported two new deaths which happened during street clashes between the authorities and the right-wing opposition in Venezuela. According to different sources; since the demonstrations of the opposition began in April, the number of victims has increased to 57 people. 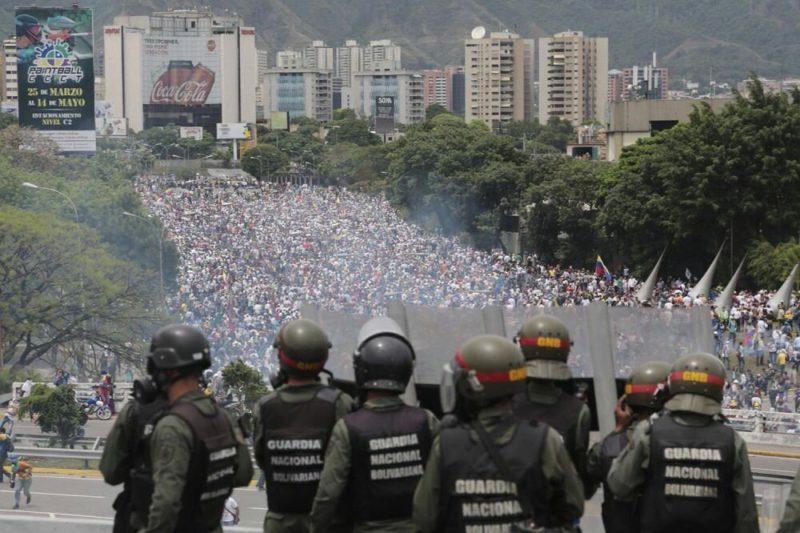 On May 27, the largest protest action took place in Caracas. 160 thousand people took part in this action. Administrative buildings were attacked. The house of Hugo Chavez, the leader of the Bolivarian Revolution, was set on fire. Cubainformacion.tv, a Cuban analytical channel, suggested the possibility of implementing the Libyan scenario in Venezuela. According to the publication, the global media openly demonizes the government of Nicolas Maduro. Cubainformacion.tv stressed the participation of extreme right-wing opposition groups and a large number of provocations leading to hatred and violence. Referring to the Venezuelan channel TeleSur, Regnum News Agency reported on the involvement of children in the protests. Ruben Dario Molina, the Deputy Foreign Minister for Multilateral Affairs of Venezuela, said on the air that Venezuela provided the United Nations International Children’s Emergency Fund (UNICEF) with evidence of children and adolescents being used in the actions of hatred and violence. He added that testimonies, photos and audiovisual evidence of children and adolescents making Molotov cocktails and throwing objects during violent protests flamed by the extreme right wing opposition, “with all the consequences it brings”, were provided. A reason for the opposition to begin with protests was the Supreme Court decision to limit the power of the parliament, which was fully controlled by the opposition at that time. The decision of the Supreme Court has long been abolished. However, protests are still increasing. Protests are continuously taking place, reinforced by sanctions imposed by the United States. Maduro demanded Donald Trump to “remove his hands” from Venezuela. This entry was posted in News from the West and tagged Protests, Venezuela, World Order War. Bookmark the permalink.